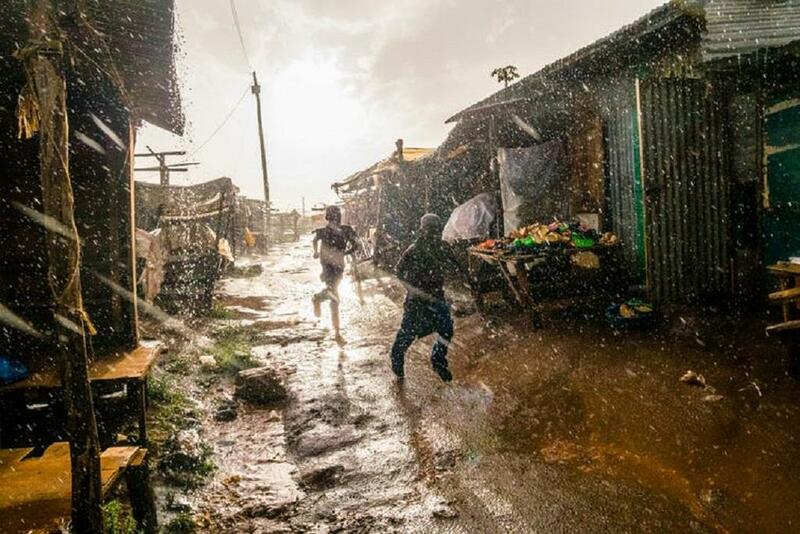 For the past month Kenya has had torrential rainfall. This followed devastating droughts in parts of the country. The Conversation Africa’s Moina Spooner asked Maimbo Malesu, Programme coordinator, water management, World Agroforestry Centre how the country can make better use of the rains. What is rainwater harvesting and how does it work? Rainwater harvesting is the capture, storage and use of rainwater. The beauty of it is anybody can do it and it can be adapted to local context. Each design can be customised to suit the needs of the user. In-situ rainwater harvesting refers to the capture of rainwater where it falls. This system is useful in agricultural production systems where micro-catchments are used. For example, Zai pits. These are small permanent micro-basins, excavated on the ground where you want to plant a crop. They prevent water from running off the surface and causing erosion. Instead, water accumulates and plants can be grown in them. Another route to go are run-off catchment systems. This is when rainwater running off ground surfaces is channelled through channels or trenches and collected in storage structures like tanks, ponds, pans, sand dams and earth dams. When looking at Kenya’s national rainwater harvesting schemes, the government favours runoff harvesting systems – in the form of dams – because they can serve a larger population. The cost per capita is lower with large dams and they are multi-purpose; they can generate hydro power generation, supply water and be used for recreation. But the water distribution system is expensive and difficult to maintain. For example, 40% of treated water in Nairobi is lost through leakages from old pipes, illegal connections and outright theft. Then there are roof catchment systems. These involve capturing rainwater from roof tops and storing it either above or below ground tanks made from plastic, bricks, concrete or ferro-cement. How does Kenya stand with rainwater harvesting - is it doing so nationally and at household level? In terms of water storage per capita per year, in Kenya it’s about 500 cubic metres per capita, but should be 1,500 cubic metres per capita. This is a minimum figure which takes into account all requirements for domestic needs including food and clothing. In the US it’s about 5,000 to 6,000 cubic metres per capita storage per year. In Ethiopia it’s about 67. In the capital Nairobi water security – in terms of meeting demand and storage capability – is very low. The city has to meet a demand of 770,000 cubic metres a day and the current supply is 550,000 per day. But only half gets to the public. About 40% is lost. The amount that Kenya harvests is very low. There are a number of different actors who are working on this. For example, the Kenya Rainwater Association is responsible for work on research and policy. But most rainwater harvesting activities don’t move past the pilot stages. Currently at the World Agroforestry Centre – through the billion dollar alliance – we are promoting farm pond technology for agribusiness and dryland farming systems. So far there are plans to construct 250,000 across Kenya, ensuring that smallholder farmers are storing 250 cubic metres at any one time. This looks set to increase as the government wants to promote adoption of 1,000 cubic metres of farm ponds. We are also developing charts to determine the size of storage for different parts of Kenya in partnership with the Jomo Kenyatta University of Agriculture and technology. If you know the size of the roof and location, using the graphs, one can determine what tank size is needed. What are the major challenges the country faces in harvesting rainwater? The first is financing: smallholder farmers often can’t afford to invest in rainwater harvesting. For instance, the whole system – from storage to irrigation and pumping is expensive. A 250 cubic metre system, providing irrigation for three months on a one acre piece of land will cost USD$3,000. The second issue is capacity: farmers don’t have the technical know-how to place and build rainwater harvesting structures. The third challenge is policy: stronger support is needed from national and local governments. For example, rooftop rainwater harvesting is prohibited in Nairobi because it was seen as competing with the Nairobi water company, which earns income from selling water. Laws should be passed that allow people to harvest rainwater at the domestic level. Fourthly, there’s a lack of market knowledge. Farmers need to be better informed where they can sell their crops for good prices so that they’re confident they can recoup the cost of investing in water harvesting. And finally there are technical challenges such as the design, operation and maintenance of rainwater harvesting systems. Are there any countries in Africa that Kenya could learn from? The World Agroforestry Centre has been promoting rainwater harvesting in sub-Saharan Africa through a southern and Eastern Africa network. It’s made up of national rainwater harvesting networks in over 12 countries. Cross country learning within this type of network is extremely valuable. For example, in terms of small-holder and domestic systems, not dams or larger infrastructure, Kenya is a leading country. But it more or less ends at the pilot level. Meanwhile Ethiopia provides valuable lessons in watershed management, which uses approaches (like making sure agriculture happens in the right areas) to ensure all the water drains into one common area and that it doesn’t take the soil with it. This is very important as it reduces the risk of flooding. In Kenya there’s a lot of soil in river systems which means the speed of the water increases, soil is deposited downstream and the risk of flooding increases in the lower parts of the landscape. If Kenya were to take into account these good practices it would not only ensure the country has sufficient water to meet its needs in the dry periods, but it also ensures that when it does rain, the risk of damage and flooding is less.